TOKYO -- Takata Corp. on Wednesday reported a full-year net loss of 79.6 billion yen ($699.04 million) - its third consecutive annual loss - as the embattled supplier faces bankruptcy over costs related to the recall of its potentially deadly airbag inflators. Even as it faces the auto industry's biggest-ever recall, Takata forecast a net profit of 5 billion yen in the year to March. The company is seeking a financial sponsor to help pay for the recall-related liabilities. U.S. auto components maker Key Safety Systems (KSS) and private equity fund Bain Capital are trying to strike a rescue deal worth around 200 billion yen with Takata's steering committee and its automaker customers in the coming weeks, more than a year after the search began for a financial suitor. Takata last month acknowledged that KSS was a front-runner in the bidding. The world's second largest airbag maker is struggling to produce enough airbag inflator replacement parts after around 100 million of the components were deemed defective by global transportation safety authorities. Takata's faulty inflators have been linked with at least 16 deaths globally, mainly in the U.S., and many of its automaker clients have said they would stop using inflators made by the company in their new models. The supplier is also facing a bill for the recalls, which began around 2008 and which industry experts have estimated to cost as much as $10 billion. To date, the majority of recall costs has been footed by automaker clients including Honda Motor Co., Volkswagen Group and Toyota Motor Corp. In February, Takata pleaded guilty to a U.S. felony charge related to the recalls, as part of a $1 billion settlement which includes compensation funds for automakers and victims of its faulty airbag inflators. 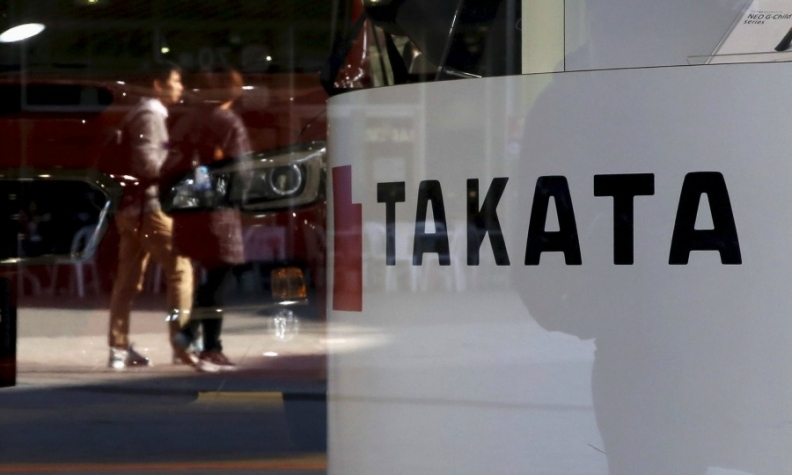 Talks to find a sponsor have dragged on since February 2016, as potential bidders try to identify and ring-fence Takata's liabilities, sources with knowledge of the talks have told Reuters. Restructuring the company is also a sticking point, the sources said. Takata's founding family, which owns an around 60 percent stake, has insisted on a privately organized restructuring which could the company producing replacement parts and also preserve some share value. Meanwhile, automaker clients support a court-ordered process which would guarantee more transparency, although it could leave Takata's suppliers on the hook with unsettled bills.